Maserati recalls 6,300 cars that may have defective fuel lines that could cause gas leaks and fires. December 5, 2018 — Maserati is recalling more than 6,300 cars that should have been recalled in 2017 to replace the fuel lines. Included in the recall are 2014-2015 Maserati Quattroporte and Ghibli cars at risk of fires if the fuel hits ignition sources. According to Maserati, the fuel lines may have been damaged by particles present when the lines were manufactured, causing scratches inside the fuel lines that can eventually allow fuel to leak. Maserati recalled model year 2014-2015 Maserati Quattroporte and Ghibli cars in February 2017 to replace the plastic fuel lines, but in April 2018 the automaker received an inquiry from Japan concerning a fuel leak. 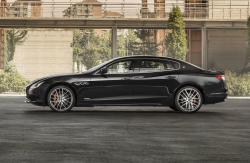 The leak occurred on a Quattroporte GTS that was not included in the recall, leading the automaker to collect the component and send it to the supplier. Maserati learned the fuel line component came from the same parts that were included in the 2017 recall. A check of the records showed at least seven cars in the U.S. had been built with the same defective fuel lines but hadn't been included in the recall. The automaker says it doesn't know of any complaints or warranty claims in the U.S. related to the fuel lines, but all 2014-2015 Maserati Quattroporte and Ghibli cars in the U.S. that weren't included in the 2017 recall will need to be repaired. The fuel line recall is expected to begin January 15, 2019, when Maserati dealers will replace the fuel line assemblies. However, if your car was already repaired under the previous recall, dealers say no new repairs are required. Concerned owners may call 877-696-2737. Maserati's number for this recall is 378. 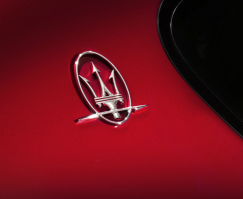 CarComplaints.com has complaints from Maserati Quattroporte owners and Ghibli owners.